This probate sales activity report includes probate and trust sales in Santa Clara County in July 2018. This report is comprised of statistical data from June 1, 2018, through June 30, 2018, extracted from our local Multiple Listing Service (“MLS”) as of August 1, 2018. The data includes single family homes, condominiums, and townhouses and may not include “off-market” sales. The highest price home sold was a single family home located in Sunnyvale 94087. The home has 3 bedrooms, 2 bathrooms, approximately 1,121 square feet of living space and a 6,377 square foot lot. The home was 60 years old. It listed on May 2, 2018. List price $1,700,888. On June 1, 2018, the MLS reported pending status. On July 6, 2018, it was reported sold. The final sales price reported was $1,600,000. The sale did require court confirmation. Four offers were received. The buyer had conventional financing. The lowest price home sold was a single-family home in San Jose 95116. It has 2 bedrooms, 1 bathroom, and approximately 1,024 square feet of living space and a 5,720 square foot lot. The property was marketed as a “fixer”. It listed on June 13, 2018, at a list price of $510,000. On June 26, 2018, the MLS status was changed to pending. On July 3, 2018, the status changed to sold. The final sales price was $701,000. There were 22 offers received. It was a cash sale. Court confirmation was not required. There are only two trust properties listed for sale in July 2018. Creating estate planning documents, having a trust and funding the trust with assets such as real property means one can avoid probate and a conservatorship. I see what families go through during the probate process. It can take up to a year or longer to administer and close an estate. The process is under the supervision of the court. In most cases, it also means there is an attorney involved and the estate pays the fees allowed by law. When assets are held in trust, probate is avoided and so is the court’s supervision. That is why I believe having a trust is among the best gifts we can leave behind. Paying an attorney to create estate planning documents saves costly probate fees. It also helps whoever is managing our estate to have all the necessary documents in order which makes administering the trust much easier. 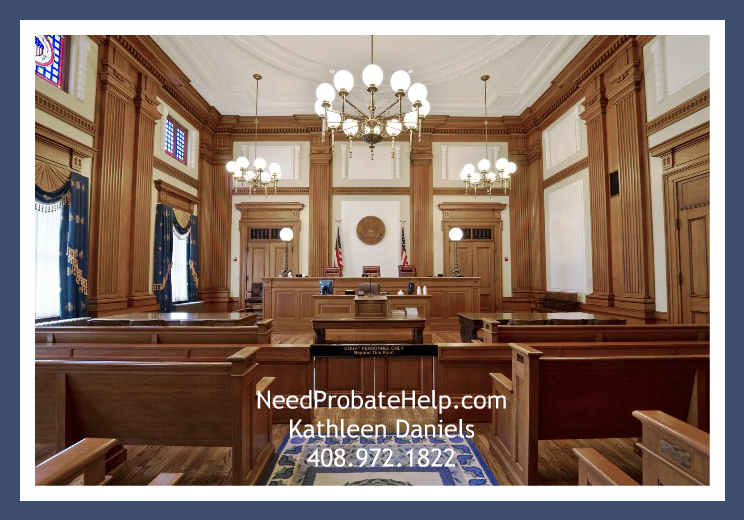 While many aspects of probate sales may be similar to a non-probate sale of real property, a personal representative is well advised to seek a qualified real estate agent to represent them in the sale of a probate and trust home. We live in a highly specialized world today. Hiring a Certified Probate Agent is just as important as hiring an attorney who specializes in probate. If you need an attorney who specializes in Probate I am happy to recommend one. If you already have an attorney and simply need help with selling property in probate or trust then give me a call. I may be reached at my office at 408.972.1822 or on my cell at 408.499.8751. If you prefer, you may request a consultation. We’re here to help.